An-Mor is Bude s newest modern hotel with a quirky take on all things British. Perched on the top of a cliff right next to the sea there are unrivalled views of the harbour and the ocean. A great event venue and base from which to explore North Cornwall s rugged coastline An Mor has it s own boutique bar and restaurant you breakfast with the Beatles and get a taste of cool Britannia from the moment you walk through the door. It really is a unique hotel where you feel almost anything could happen. The Bay View Inn is a family run hotel and is superbly located overlooking the Atlantic Ocean. It is the perfect place for exploring the beautiful Cornish coast. The far reaching views of Widemouth Bay with its glorious sandy beaches and rolling surf will take your breath away as you gaze out to sea from our superb Beach Hut restaurant. All rooms are sumptuously decorated and have been awarded 4 diamond rating from the English Tourist Council. Brocksmoor Hotel is a unique boutique style hotel and is set within its own beautiful gardens, located right by the cliffs that overlook Widemouth Bay near Bude. The hotel itself is stylishly decorated , both inspired by and reflecting its close proximity to the beaches of Widemouth. This area of North Cornwall is the perfect setting for any getaway, with its unspoilt sandy beaches, great surfing, coastal walks and outstanding views. Come to Elements, one of North Cornwall's finest boutique hotels & bistros. High on the cliffs between Bude and Widemouth Bay. 11 beautiful bedrooms, a chic bar bistro and terrace, gymnasium and leisure facilities and a breathtaking location make Elements a fantastic place to come and enjoy this amazing part of Cornwall. Free Wi Fi Free Parking Free use of the state of the art gymnasium equipment Fabulous sea views and a vibrant restaurant/bar with leisure facilities including a sauna and solarium. br / br / In a private setting on the spectacular North Cornwall coast just minutes from Bude Elements is a stylish modern hotel that offers superb comfortable bedrooms with breath-taking sea or countryside views and a vibrant restaurant that serves the finest Italian cuisine using some of the freshest locally sourced ingredients. br / br / br / br / Rooms at Elements are comfortable and stylish with many offering a spectacular seaview. Features include an LCD TV with a PlayStation 2 for games CDs and DVDs. . br / br / Our cafe bar is open all day and a modern Italian menu is served every lunch time and evening either in the panoramic seaview restaurant or on the terraces. Guests may also relax in the welcoming bar or enjoy the sun deck. br / br / Elements is just a minute or two from the fantastic beaches at Bude and Widemouth Bay which are ideal for families or sports and we can offer you complimentary use of our two mountain bikes to see the beautiful countryside at first hand. In addition Foam surfboards are available. Fully refurbished in 2013 Hebasca is a playful yet elegant hotel with a killer cocktail lounge feisty grill restaurant and sun terrace. Free WIFI is available throughout. Slap bang in the heart of Bude you ll be just a short walk from the beach and close to the town centre where Bude s shops sights and eateries await. Your super-luxe bedroom will feature a sleek bathroom with powerful drench shower hand crafted furniture super comfy duck-down duvet iPod dock coffee-to-go and fashionable furnishings. The Hotel Penarvor has some of the best views in Bude, with the added benefit of private parking. It is situated a few yards from Crooklets Beach and the Hotel also backs onto The National Trust Coastline and footpath. The Hotel Penarvor is beautifully decorated to a high standard. The rooms are non-smoking, spacious and airy, most offering sea views, all rooms are en suite with coloured T.V., tea and coffee making facilities. Clean, comfortable, relaxed and friendly place to stay. Close to Bude and it's beautiful beaches. A charming, Grade II listed 16th century house once owned by the Church and run as a retreat for the clergy. Stratton Gardens offers six well appointed, distinctively furnished bedrooms, each with en-suite facilities. Your comfort is their aim. Stratton Gardens offers traditional friendly hospitality, the best in personal service and a warm welcome, for that quiet place of retreat and refreshment. Overlooking the historic town of Stratton. 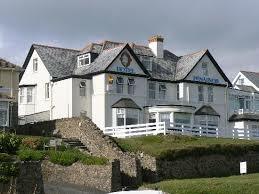 The Cliff at Bude (formerly The Cliff Hotel) is located on the beautiful Cornwall North Atlantic Heritage Coast. We are surrounded by spectacular coastal scenery and National Trust land. Open from March - October 2009. The hotel is an ideal base to explore Devon and Cornwall. The Eden Project is less than one hour's drive by car. The Falcon is the oldest coaching house in North Cornwall and was once the headquarters for the four-horse coaches running between Bideford, Clovelly, Bude, Boscastle, Tintagel and Newquay. Travellers have been welcomed here for nearly two hundred years and that old-time warm, friendly atmosphere is apparent as soon as you walk through the front door. Overlooking the Bude Canal and just minutes from the sandy beaches of the west Cornish coast The Falcon Hotel offers free Wi-Fi and free parking on site. Delicious food is served in the elegant restaurant and local ales are available from the Coachman s Bar. Rooms at The Falcon Hotel are traditionally furnished and each has an en suite bathroom with free toiletries. Rooms also have a flat-screen TV with satellite channels. Guests can relax in the beautiful walled gardens with its terraces balconies and arches. There is a Beer Terrace where you can enjoy drinks and Tennyson s Restaurant uses fresh local produce in its dishes and is fully air conditioned. The Grosvenor guest house is located in a fantastic position overlooking Summerleaze beach on the South West Coastal path and one minute walk from the town. We offer a variety of different rooms each with a private bathroom flat screen TV free toiletries and tea/coffee facilities. A full English breakfast with local produce is served each morning. A packed lunch is also available on request. We also have an elegant lounge and bar serving cappuccinos beer wine and local Bude ales! Free parking and WI-FI is provided. 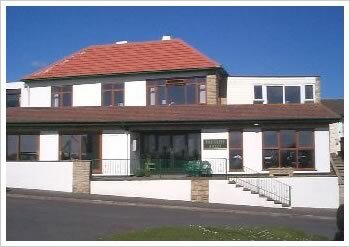 Down by the dunes in Bude you ll discover one of Cornwall s newest hotels Tommy Jacks. A throwback to when surfers were kings and skaters ruled the world Tommy Jacks is quite possibly the grooviest urban beach hotel bar and restaurant on the Cornish coast. The 20 cheery pocket-friendly snooze pads are neat and nautical. Just a stone s throw from Bude-iful Crooklets Beach they re the ultimate surfside HQ.